TORONTO – In the NBA, everyone has a story, which makes NBA teams living, breathing, perspiring libraries. The Toronto Raptors’ collection keeps expanding, the shelves curving under the weight. Leonard, who tends toward the serious, was even able to joke about it. These kinds of details matter, but even on a night of high drama, the Raptors are so much more than a box score, never more than on a chilly weekday evening in February with the all-star break looming like a beacon. Just one example among many: Monday night, 34-year-old Marc Gasol played a home game for a team other than the Memphis Grizzlies for the first time since October of 2008. He came into the game at the 3:03 mark of the first quarter and got a standing ovation and hints of a ‘Marc Gasol’ chant. He did his usual – smart ball movement, subtle, intelligent defence – in the early going. But the crowd’s faith was rewarded during a five-minute stretch in the early going of the fourth quarter when the three-time all-star lit up the Nets bigs for 11 quick points including a crowd-pleasing triple and a running hook across the lane. By the time he sat down, the Raptors had gone from tied to up seven with just under six minutes to play as Gasol finished with 16 points on nine shots, six rebounds and two assists in 22 minutes. The Raptors’ story all season long has centred around Leonard, who has been deemed the key to the Raptors changing their story as the team that can’t get it done in the playoffs. So far, he’s been as advertised delivering MVP-calibre basketball as long as he’s been on the floor. He did it again Monday as he led all scorers with 30 points and contributed a career-high tying eight assists as well. But heading into the game against the Nets, Raptors head coach Nick Nurse flipped the script a little bit. Leonard was coming off his first string of sub-par games this season – a four-game run where he was shooting just 34.5 per cent from the floor and 31 per cent from deep, a rare slide for one of the NBA’s most consistent players. In particular, on Saturday against the Knicks, he looked less than energized as the starters nearly got run out of Madison Square Garden in the first quarter. Leonard was largely invisible and finished with 11 points on 15 shots. Nurse defaults to the positive in his public comments and you could understand why he might want to shy away from calling out Leonard, a pending free agent who the club is trying to convince to stick around after this season. Maybe he was bored with his recently completed 22-game game stretch of scoring at least 20 points during which he averaged 30.5 points and 7.5 rebounds on 52.3 per cent shooting? So not a bad outcome. For those wondering how the story of Leonard in Toronto will end, perhaps that Nurse feels comfortable enough to speak the truth to his powerful pending free agent bodes well. It says something that the most interesting story of the day wasn’t necessarily Gasol at all, or even a guy on the roster yet. The big Spaniard’s debut competed for attention with the mid-afternoon news that the Raptors will be signing Jeremy Lin of the Atlanta Hawks once the veteran point guard clears waivers. “Another quiet day in Raptorland,” joked Nurse, who can’t comment on Lin until he’s officially under contract which could be as soon as Wednesday afternoon given it will take him 48 hours to clear waivers. 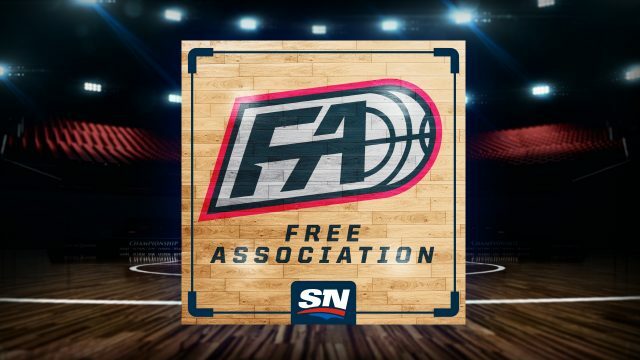 The timing couldn’t be better as backup point guard Fred VanVleet has been ruled out for up to three weeks with a partial ligament injury to his left thumb and reserve Delon Wright was included in the trade package for Gasol, leaving the cupboard bare at the point guard spot after Lowry. Lin is best-known for ‘Linsanity’ — an incredible stretch with the New York Knicks in the 2011-12 season when he averaged 24 points and nine assists a game after becoming a starter by necessity due to a slew of injuries; the peak coming with a game-winning three on Valentine’s Day in Toronto. His status as the NBA’s most instantly recognizable player of Asian descent – the Harvard grad who chose hoops – made him a worldwide celebrity almost overnight. That died down eventually, but Lin has carved out a solid nine-year career with 218 NBA starts to his name. His aggressiveness should help the Raptors in key moments when they need another playmaker on the floor. The Raptors story keeps evolving. On the undercard Monday was the news that Chris Boucher’s two-way contract had been converted into a full-fledged NBA deal; not bad for a Montreal kid who was working the grill at St-Hubert BBQ after high school before being discovered when he played in a pick-up tournament with some friends. He went to junior college and then went undrafted after tearing his ACL in his senior season at Oregon. But he persevered. He didn’t let anyone else write his story, tore up the G-League for Raptors 905 and got his reward. He fits right in on a team that doesn’t have a single player on the roster taken in the draft lottery – unheard of for a team that has a legitimate shot at an NBA Finals. Leonard is the highest drafted player as he was taken 15th overall. The woeful New York Knicks have six lotter picks on their roster. The Nets — who haven’t had their own first-round pick in five seasons – have two. Meanwhile Gasol was a second-round pick. Lin was undrafted – as was VanVleet, who he’ll be filling in for – and Boucher. The stories are great and they keep on coming in what is unfolding as arguably the most fascinating season in franchise history; the plot turns arriving on the regular. What’s left is how the story is going to end. It should be good reading though.